Richard and Geraldine were both MKs (missionary kids) whose parents served with the old Baptist Missionary Society. The Akers have been ministering with the Zion Evangelical Ministries of Africa (ZEMA) for over 20 years, teaching through the Zion Evangelical Bible Schools (ZEBS). They spent their first 18 years in Umtata, South Africa, and the last 5 years in the country of Mozambique, or “Mocambique” as it is locally called. They live in Nelspruit and commute into Mozambique to minister to the leaders among the AmaZioni churches. The AmaZioni churches arose out of churches started by ZEMA that is head-quartered in Zion, Illinois, USA. Many of these churches follow an admixture of truth and African traditional religion. The main thrust of ZEMA, and the Akers, is to teach the AmaZioni church leaders the true Gospel of our Lord Jesus Christ. They use ZEBS classes and leadership classes for AmaZioni Church leaders to achieve that goal. Many of their trips into Mozambique entail visits to remote areas. Richard’s area of service covers 309,493 square miles. The time since we came back from the brief visit to our ZEMA Home office in Zion can perhaps be described as a bit of a blur. You will remember that there has been much uncertainty about us returning to Mocambique for the last opportunities of ministry for 2013. Well, as it turned out, Richard returned to Maputo for two of the Saturdays and while we were able to have the ZEBS classes, it was quite evident that Mocambique remains a country uncertain as to what might happen next, but we were grateful to at least close off the Maputo ministry. Right now, our next scheduled visit into Mocambique is after the hot, wet months and so IF THE LOCAL FOLK feel it is quiet enough, we are due to return in March 2014. FIELD DIRECTOR DUTIES: While not being in Mocambique as much as planned, it does not mean an extended holiday! As we come to the end of the year, there have been the budgets to get completed, Richard was able to go with others for some ministry into Lesotho, and there have been a large number of ‘administrative duties’ to catch up and close off. For those who might not know, the Field Directors duties are really a full time task and so, having added this onto the Mocambique ministry, it has been quite a challenge. OUR FAMILY: For the first time in memory, Richard was ‘booked off’ by a doctor FOR 5 DAYS after contracting an ‘unspecified infection’ somewhere, but we’re grateful that apart from that, we have both been well, but have been looking forward to a little more restful time at the end of the year. ALL OUR CHILDREN are home right now! Christopher wrote his final exam to qualify as a CA, Gregory graduated from the Baptist College and Naomi successfully passed to go into 3rd year Pharmacy. BUDGETS: We want to THANK EVERY PERSON OR CHURCH who carried us through 2013. Many are regular donors, while others have given to our ‘DAY IN MOCAMBIQUE’ appeals. You might be interested to know that at any time, we are literally two months away from ‘shutting up shop’ meaning that we really do depend on the generosity of God’s people to carry us…there is no ‘fat’ to keep us going when the income dries up. Sadly one of our biggest donors has just let us know that due to THEIR budget constraints, they will have to cut a major part of their funding for 2014; so this is just a simple appeal…if you have been giving, please continue through 2014. If you haven’t been involved in financially supporting our ministry, would you perhaps consider becoming part of our team? MY DAY IN AFRICA: Last year, 100 people gave very generously to support “ONE DAY OF MINISTRY IN MOCAMBIQUE.” Well this year, our ministry will include not only Mocambique but South Africa as well, and so we would appeal to you… could you perhaps consider making a once off donation through 2014 SUPPORTING ONE FULL DAY OF AKERS MINISTRY? If you would like to do this, please just hit the REPLY BUTTON, and SEND. If we get a blank email like that from you, we will know to send you more information to help you make that once off donation through 2014. You won’t yet be COMMITTING yourself, just asking for more info. 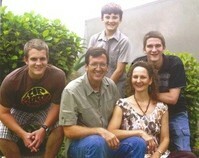 For more information about the Akers, please visit their blog or website. Bruce grew up in a military family, and attended church or base chapels with his family. He was saved as a junior in High School while attending a service at the Chapel on Eglin AFB, Florida. Marti had the privilege of growing up in a Christian home in Western New York State and trusted in Christ as Savior at the young age of 6. Bruce and Marti became Awana leaders in 1984 when their church in Panama City, FL started an Awana ministry. Throughout the remainder of Bruce’s Air Force career they continued to serve in Awana Clubs and assisted Awana missionaries in starting new clubs and worked as staff at events. In 1997, following Bruce’s retirement from the USAF, they became Awana missionaries to NW Georgia and SW Florida (1997-2000), worked on staff at Awana Headquarters (Bruce, 2000-2008), and returned to the field in December 2008 as missionaries to Northern Illinois. In their present role as missionaries, Bruce and Marti serve an area that includes 22 counties, and more than 120 churches, providing training and support to church leadership. Their roles include starting new clubs, speaking at club meetings and evaluating clubs, setting vision for children’s ministry, and working with a team of volunteers to put on regional events such as Awana Games, Bible Quizzing and Conferences. Their newsletter is the “Brumsfields’ By-Line” for more information about Awana Clubs. Lauren and Jon met while studying at Trinity Evangelical Divinity School in Deerfield, IL. Lauren grew up in Port Washington, WI, and attended Friedens Evangelical Free Church. Jon grew up in Zion, IL, and attended Christ Community Church. They both had a passion for missions before they met at Trinity. 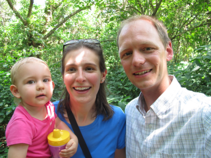 They arrived in South Africa as missionaries in December, 2010. Their daughter, Liesl was born in Beacon Bay, South Africa in 2011. 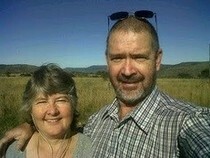 The Emanuelsons live and serve in King Williams Town, South Africa. They are learning the Xhosa language and culture and are involved in amaZioni ministry. The language learning techniques learned at Missions Training International before leaving for South Africa have been a huge help. Pray that we will learn the Xhosa language and culture well so we can more effectively share the Gospel Message of our risen Lord. Pray for us as a family that God will bless, protect, and guide us as we serve Him. Pray for all the amaZioni we are ministering to, that they will become disciples of Christ. Pray also for those we haven’t been able to reach, yet, that God will open those doors. 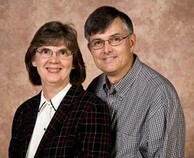 For more information about the Emanuelsons’ ministry, please visit their blog or website. Greg, Carlene, Ryne, Corbin and Kyle Seghers serve at the Sunbury Christian Camp, South Africa. The Seghers’ ministry includes administration of Zion Evangelical Bible Schools (ZEBS), teaching, discipleship, children’s ministry and serving as part of the Sunbury committee that oversees the running of the camping facility. We had our largest ZEBS ever this past weekend at Sunbury. There were 151 students participating in our school! We are getting ready to spend two and half months in the US. We hope to see many of you! We are loving being grandparents! We are really looking forward to spending time with Corbin and our families in the US. We are pursuing something we’ve never tried before. While traveling to a Zion service on Easter weekend Greg stopped at a petrol station to fill the baakie. There he happened to meet a man also filling his vehicle. Manziwokuphila Zwane was a student at Sunbury ZEBS in 2004, but had to stop because of his work schedule. He said he’d just been speaking to his wife because he wants to study again and finish what he’d begun. This month Manzi began attending the Sunbury ZEBS and is also traveling each Thursday to the ZEBS in KwaMashu to finish his studies. We would love to meet with as many of you as possible. Give us a call or drop an email! Our cell number in the US will be: 224 532 3376. We felt strongly that God was encouraging us in our ministry, to include educating and motivating people to consider God’s plan for the sexual relationship. During the past couple of years the Lord has given us more opportunities to encourage and disciple couples and individuals, to protect themselves and choose to live by a godly standard in relationships. We have been developing a Bible Study and have entered into a competition which could get us published with a reputable author as our mentor! Check it out at CrowdScribed.com. We’ll keep you posted and let you know when the voting can begin! Pray for those covering our ministry responsibilities in our absence: Umfundisi Khuba, Umfundisi Shobede, Umfundisi Mbonambi, Marius Swart. Pray that God would bring many Zionists to know Him. As we travel separately to the US and then travel to visit family and churches, pray for safety. Pray also that we would be a blessing and the body of Christ built up and unified as we find fellowship and family time together. Pray that as we pursue the possibility of publishing Redeeming Sexual Love, that God would be glorified and many encouraged and grow in health, in their relationships with one another, and with Him. Mark is the son of Connie, our church librarian, and brother to ZEMA’s Mike McDowell. He met his wife, Ruth, when they were serving together on a mission trip in the Philippines. They have served with OMF for 18 years, have a special heart for ministry to the urban poor in Quezon City, Philippines through traditional church, discipleship, Sunday School, and youth worship and have additional ministries such as their vibrant Beyond Basketball Ministries (B.B.M.) with half-time bible teaching. Mark and Ruth have two teenage daughters: Rainbow, in her first year at Moody, and Gloria, 16. For ministry out of the McDowells’ house, as well as for spiritual protection and many co-laborers, and for the gospel to continue to impact their area. B.B.M. has raised around $200,000 toward a new land lot in Batasan, but still needs about $50,000. For Rainbow in her second semester at Moody, including ministry and evangelism opportunities. For more info about OMF’s ministry in Southeast Asia, go to OMF Philippines. 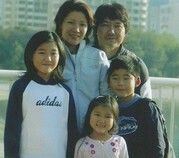 Paul & Carol Suzuki serve with SEND in Japan, which has a population of 127,000,000. While the people have freedom of religion, the rising power of nationalistic Shintoism is threatening that freedom. Over 80% of Japanese claim no personal religion, but most follow the traditions of Buddhism and Shintoism. Japan is the largest non-evangelized nation that is completely open to missionaries. Yet, due to the spiritual, socio-cultural, linguistic and financial difficulties, becoming an effective ministry of the gospel is a long, hard process of adaptation. Since 1994, Paul & Carol have partnered with Hi-b.a (High School Born-Againers – taken from John 3:3) in Japan to entrust the gospel of Jesus Christ to young people and train them to do the same for others. Paul is currently the Area Director for SEND Japan and loves sports, dark roast coffee, and mentoring young leaders. Carol draws young Japanese moms to Christ by cooking and caring for them and their kids along with Bible studies and English programs. Their three children currently attend an international school, after being in the local Japanese elementary school for many years. They speak English at home, and Japanese at church as well as in the neighborhood. Paul can be contacted through LinkedIn or Facebook. Go to SEND International to find out more about their ministries. Child Evangelism Fellowshipis a Bible-centered, worldwide organization that is dedicated to seeing every child reached with the Gospel of the Lord Jesus Christ, discipled and established in a local church. CEF has many different ministries for children, but the three primary ones are the Good News Club,the 5-Day Club and the Truth Chasers Club. The Good News Cluband5-Day Club ministries take place in neighborhood settings such as homes, backyards, schools and community centers. These fast-paced, one-hour programs deliver the Gospel of Christ to children on their level in their environment. The Truth Chasers Clubisan exciting Bible correspondence course designed to disciple children and adults that has reached over 483,000 people (70% children) in more than 130 countries! Along with these clubs,CEFalso has fair, camping, open-air, and internet ministries for children that reached over 14 million children worldwide with the good news. Training Christians to effectively minister to children has been core to our ministry since it was founded in 1937. Training is offered throughout the USA and around the world through seminars, conferences, and formal courses. The Children’s Ministries Institute, a modular 3-month course located at CEF International Headquarters provides quality, practical training for those called to take the Gospel to children. Please visit the Child Evangelism Fellowship website for more information. Ø Praise that Sarah Vehlow is back as our summer coordinator and will be working with us this fall while she takes Moody Online Courses. Ø Praise that Sarah’s support forChildren’s Ministries Institute® & salary have been strong the last month. Ø Pray that it would continue. Ø Praise for the nine Good News Clubs held in the public schools this past year and the one monthly club at Lakeview Towers in Waukegan. Ø Praise for the 231 children who were reached in these clubs with 19 decisions for Christ. Ø Pray for the children to continue to grow in faith and knowledge and be discipled in churches. Ø Praise for ten children who have earned the scholarship to Camp Good News this summer. Ø Pray that we would be able to raise the funds to cover the scholarship cost ($200/ student) plus transportation to get the children to and from camp in July. Ø Praise that we have already received some donations for this. Ø Pray that all the students would continue to have Quiet Time with God each day. Ø Praise that Sarah will be serving as our Summer Coordinator and helping with our CYIA training, 5-Day Clubs and the Lake County Fair outreach. Ø Pray for both Sarah & Gail as we prepare lessons for CYIA camp and TCE 1 classes. Ø Pray for host families and/or churches to hold 5-Day Clubs this summer beginning the last week of June and continuing through the first week of August. Ø Pray that God would call at least 5 young people to commit to receive training and then teach the 5-Day Clubs. Ø Praise for several younger students who will be helping as Missionaries in Training. Ø Praise for the faithful members of our committee. Ø Pray that God would call at least four new members to serve on our committee. Ø Pray for health needs for several of our members and their family members: Bob Fields recovery from triple bypass heart surgery; Ruth Soderberg’s 96 year-old mother, Helen; Clarence Williams doing well with radiation treatment for prostate cancer. The Family Resource Center of Zion is an independent, not-for-profit organization that provides educational services and resources to empower men and women to make informed choices regarding pregnancy and parenting skills. This includes peer counseling and training in life skills. All services are free and confidential. FRCZ is affiliated with the Care Net organization. Care Net and their network of more than 1,100 pregnancy centers nationwide offers hope to women facing unplanned pregnancies by providing practical help and emotional support. Free pregnancy tests, ultrasounds, abortion information, parenting classes, and material assistance are just some of the many services offered that empower women to choose life. The ultimate aim of Care Net and its network of pregnancy centers is to share the love and truth of Jesus Christ in both word and deed. As a result, the hearts of women and men are being changed by Christ’s love. In addition, those struggling with past abortions are finding God’s healing and forgiveness. Always grateful for help, volunteers from the community may know the women and men facing unexpected pregnancies. They are our neighbors, classmates, friends, relatives and even those sitting in the pews next to us. They are married and single; rich and poor; teens and adults; different races, cultures, religions, or claim no religion. All too often women and men are forced to deal with the uncertainty and trauma of an unexpected pregnancy alone. During that time, they may need someone to turn to for help. If you have a heart for ministry and want to help, you are encouraged to contact Family Resource Center of Zion. There are many ways to serve – whether you have time once a month, once a week or several days each week. There are opportunities for women and men. Please visit the FRCZ website for more information or to volunteer. Inner City Impact has served the inner city of Chicago since 1972. Committed staff reaches kids ages 5-18 in some of Chicago’s toughest neighborhoods – Humboldt Park, Logan Square, and Cicero. Through ICI’s core programs, dedicated full-time missionaries and volunteers work with children in Bible studies, one-on-one discipleship, and in a variety of Christ-centered, wholesome and fun activities. Programs include after school clubs, summer and winter camp adventures, and leadership development and sports leagues engage the kids in wholesome activities – and give us the opportunity to share the gospel. Mission: To present the living Christ, primarily to unchurched inner city children and youth, discipling and integrating them into a local church. Get Involved: If working with inner city children appeals to you, there are many ways to get involved; serve as a volunteer weekly, monthly, or quarterly. Other opportunities include college, church, or youth groups to serve with the children through our programs and opportunities to serve through various work projects. For more in-depth service, opportunities are summer or full time staff person and intern. Go to the Inner City Impact website for more information about ICI or opportunities to serve. Vision: Imagine what the world would look like if every Christian were maximally utilized living out their faith by serving others… Our vision is to see Christian churches in every community in this country and around the world united in the purpose of ministering the love of Christ to anyone in need in their area through the partnering strategy and model we call Love In the Name of Christ. Mission: Love In the Name of Christ exists only to help churches mobilize their members to be the hands and feet of Christ in their communities. As Christians, we are called to show the love of Christ to those in need. It is only through the love of Christ, living in and reflected by his people, that lives burdened and broken by the world can be transformed into wholeness. When local churches, united in the purpose of showing Christ’s love in their community, come together they are a powerful force for transformation, not only to individuals and families, but also to the entire community. Please go to the Love INC website for more information about this ministry.